Converting the site from a degraded wetland dominated by dry season agricultural uses to a functioning wetland system. 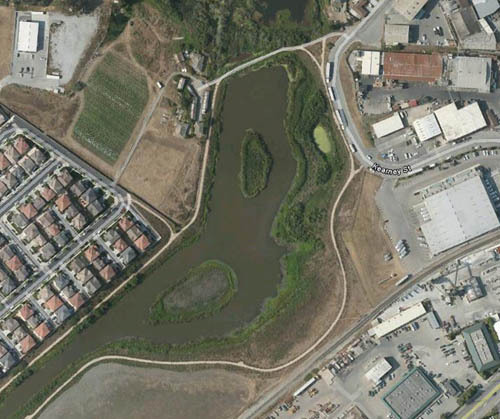 Improved wildlife function in the restored wetland by recontouring the site to create a mosaic of channels, islands, and floodplain benches revegetated with locally obtained native wetland, riparian, and upland plant species. Improved Slough circulation by increasing open water habitat and connectivity between different parts of the Slough system. 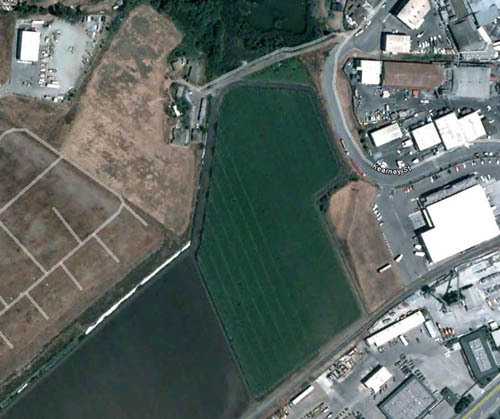 Improved water quality in the Slough by pre-treating adjacent runoff from industrial and residential areas in a forebay and vegetated swale system. Improved recreational use of the area through aesthetic improvements and construction of pedestrian pathways adjacent to the site that will connect with existing trails as recommended in the Watsonville Trails Master Plan.